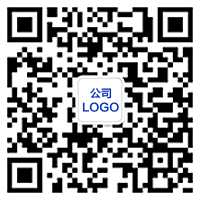 About us-About us-XIAMEN NONGJIALE FOOD PRODUCTION CO.,LTD. XIAMEN NONGJIALE FOOD PRODUCTION CO.,LTD. was founded in Nov., 2006.Our company is a specialized edibile mushroom processing enterprise, which combines the growing process, acquisition,processing and selling completely . It has got its own eight production bases all over China, and could meet the customer's demand as well as the market 's demand with its plenteous commodity stock. Our company has always adhere to the concerpt of good quality products and honest management. Until now, we have established business relationship with companies in Taiwan, America, Indonesia, Korea and other Southeast Asian countries. Our products mainly include all kinds of wild edible mushrooms of different sizes, including: Dried Mushroom, (Smooth Surface Mushroom , Black Surface Mushroom, Fulvous Mushroom, White Flower Mushroom, Mushroom Slices and etc), and Black fungus/ Jews Ear, Auricularia Polytricha,garicus blazei, Hypsizygus marmoreus, plelmtus eqngiu, Straw mushroom and other products. Clients Oriented, Quality First, Sincerity and Credit are the spirit of our company. Timely offering superior and satisfactory products to our esteem customers is our eternal principle. We would do processing、classifying and packing of the edible mushrooms according to the different demands of our customers. Our products are of various and complete specifications and reasonable prices, We believe that our products would be your best choice. We are looking forward to your further contact and cooperation.